Today, money is not just about cash and cheques. In this digital era, we have moved forwards and plastic money is dominating everywhere. Whether it’s payment for dining bill, electricity, monthly subscription fees, or online shopping, almost everything can be done on the go. However, there is a drawback of using it. One of the major issues that could be security, while others may be the changes in our spend behavior. There are many reports which suggest that with increasing use of plastic money, our spending habits have increased. There is much evidence that a person ends up spending more if he uses Credit/ Debit Cards as compared to expenses made using Cash. For the ever-increasing expenses, it is important to keep a track of all the incomes that will surely help in better money management. But if you are not having sufficient time to keep track then your smartphone would be quite helpful in this case. All you need to do is just install the best android money management apps on your device and allow it to track your regular expenses. From managing your daily expenses, monthly bills such as EMI payments, mobile bills payment, electricity payment, keeping track of online subscriptions or converting currencies, or even handling your investment, money management apps can pretty much do it all. There are many money management apps out of which we are listing below four of the best android money management apps which are available on the google play store. Note: This list of Money Management Apps isn’t in any order of preference. You can select any app that is best suitable for you. 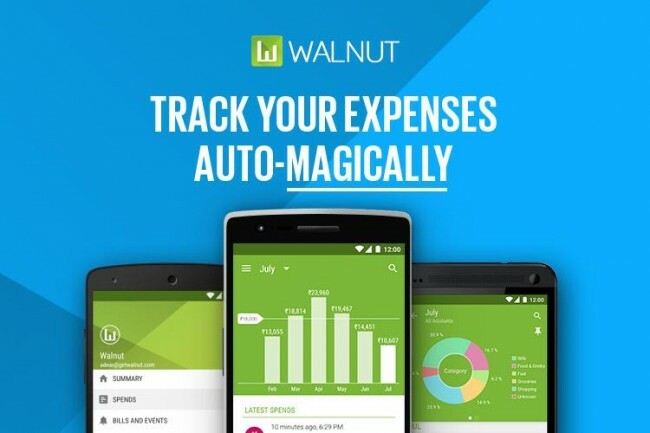 Walnut Money Manager is one of the best and secure expense manager apps that automatically tracks your daily/monthly expense. It keeps a track of ‘What’, ‘How’ and ‘Where’ you spend, your credit card dues and you can also split expenses in a group of friends. Walnut analyses the SMS inbox on the smartphone and detects the important information like your spends, bills and etc. You can transfer money to them for free as well as visa credit bills can be paid from within the app itself. Besides the regular features, the app also helps you to find an ATM nearby. You can also check your bank balances etc. 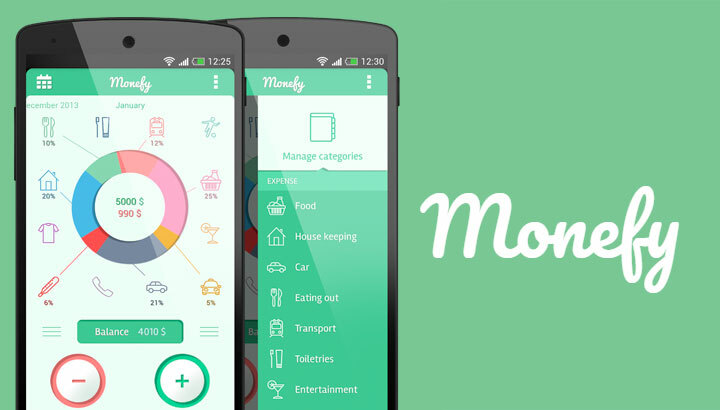 Monefy is one of the simplest money management apps out there. With its intuitive interface and rich features, you can easily track all your earnings and expenses such as bills, clothes, entertainment, food, health, transport, etc. The Income sources are also differentiated by categories such as deposits, salary, and savings. The app provides you with an option to safely synchronize data between all your devices. It also helps you to create or change records under listed categories as well as, add new categories or delete or modify the old one. Other features on the app include a built-in calculator, customize your own categories, multi-currency support, passcode protection, support for multiple accounts, synchronization with Dropbox and much more. It is one of the topmost Editor’s Choice apps with a rating of 4.6 out of 5 stars from more than 1,00,000 users. 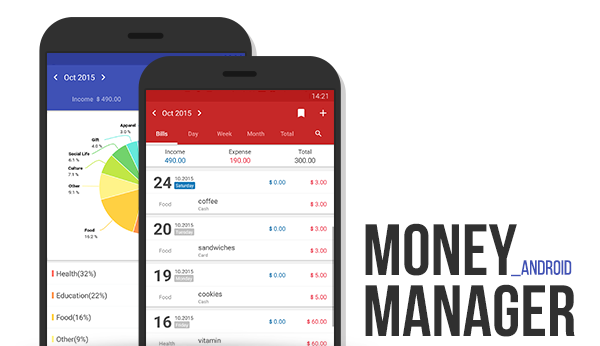 Money Manager offers more visual experience than just reading out reading numbers of where the money is going. It allows you to record your personal and business transactions, review your daily, weekly, and monthly data, as well as you can generate spending reports. With the help of transfer and recurrence function, you can manage your salary, insurance, term deposit, and loan payment easily. Some of the other features include asset management and accounting, passcode feature, bookmark, and an inbuilt calculator debit and credit card transactions, and it allows you to budget your expenses efficiently. In case, you need to switch devices then the app allows you to create a backup and restore your data to other devices. If you are looking to record all your daily expenses then Spendee might be a great option for Money Management. It helps you to understand your finances so that you can make smarter decisions and have a stress-free life. It supports multiple currencies and there is an ultimate bill tracker function which reminds you to pay for gas, water, loan etc. The app securely pairs with all your bank accounts so that all your incomes and expenses are added automatically, thereby saving your time and effort. You can keep your expenses private by putting a password into it. Even you can export your data in a spreadsheet and share or store it to your desired location such as email or device memory. Keeping track of your earned money has become easier nowadays. 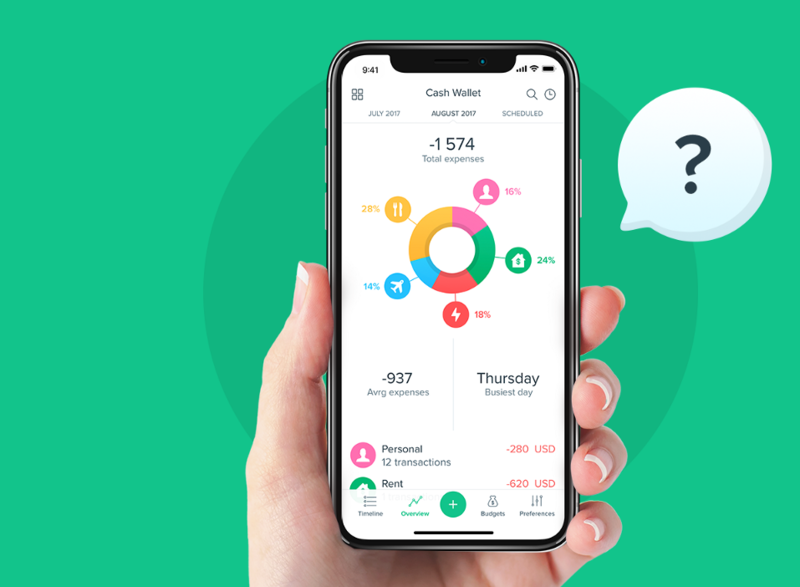 There are several Money Management Apps available for Android smartphone users that help us to keep track of our earning and expenses as well as make smart decisions basis our spend activities. We have personally used and tested above listed apps and these are definitely smart and helpful for financial planning.